Jio Phone 2 flash sale: Reliance Jio has once again drawn all media attention with the launching of Jio Phone 2 flash sale, which started at 12 PM at jio.com. 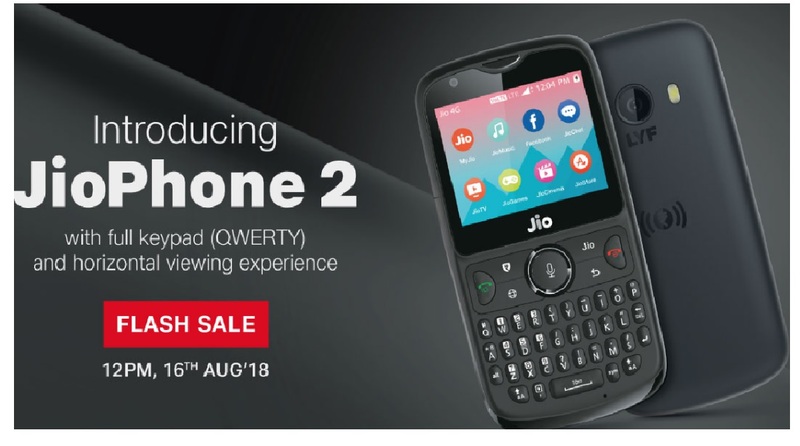 According to the official website, Jio Phone 2 has been launched via flash sale and, and the phone will be available with a price tag of Rs 2,999. However, it is likely the Jio Phone 2 stocks available for the flash sale will be limited in number. The handset has a QWERTY keyboard, and runs on Kai OS. The Jio Phone 2 price, however, is twice as much as that of the first version (Jio Phone). According to the official website, those who buy the handset in the Jio Phone 2 flash sale should be able to receive the device within 5-7 business days. Customers can also pick it up from a nearby authorised retailer. 3) Rs 153 plan: 42 GB data, unlimited SMS for the validity period.